Instagram is one of the biggest platforms of Social Media. Millions of people joined this media platform to share the views, ideas, videos. Always add tools to attract people. That tools help to connect the people with each other. The main target is to add more and more people to this platform as well as retain the existing visitors on site. Instagram recently introduced a Live Streaming facility for visitors. If You want to enjoy the live streaming facility with your friends. Then you can. Instagram added new features from last month to counter the competitor of the social media platform. You can say that all features which are available on Instagram, is already available in ‘Snapchat’ and they are providing to users. Sometimes back, Instagram has added ‘Live Features’. Visitors are liking this in big volume. The big benefit for you to add your friends with this feature. 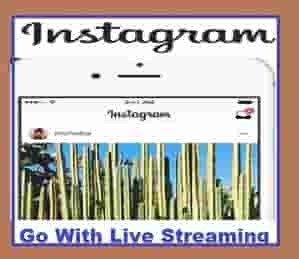 Recently Instagram updated features for users to join another during running the Live Streaming. If your request has approved by the opposite user then can live broadcast as a guest of the host. But other users should be activated on live streaming. When your family person, friends are live on Instagram then you can see the live video of them on screen by tap the “Request” button. If your friend and family member accept your given request, you will get 1 minute to ready yourself for life. Both the live image will be shown on screen in split mode. 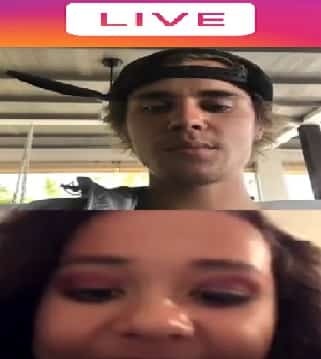 How To Accept Or Reject The Request Of Instagram “Live Streaming”. First of all Tap on view and open the request. If you want to accept the request then “Go Live With” Or “Start Live Video”. To reject the request press cancel on Tap. If you are interested to join in your live stream then you can invite other users too. You have to click on the double face icon. Here you will get the option to invite a particular person during live streaming. They will add if they are seeing your live streaming online. You can remove the person or can invite others to join live video by just Tap cross button. Which is given in the top right corner of the split screen. Actually social media platform like Facebook, Twitter are also working on the live stream features. Facebook moved fast and launched live streaming by Create Option. Give your opinion in the comment box.